Imagine! He calls us His Beloved! Like the “association” word game, Holly Mueller names this week’s theme: “He calls you beloved.” And–although I know “He” is God–I zone-in on “beloved,” and immediately say in return: Henri Nouwen. Henri Nouwen, priest, professor, psychologist, “Wounded Healer,” and author of Life in the Beloved is the human instrument God used forty years into my Baptized life to convince me that I am His beloved. Until I read that blessed book, I never thought of myself or identified myself as God’s beloved. Sure, I knew that God loved me. God loves every person He ever created. Ah, but being someone’s “beloved,” to me that raised “loving” to a whole other level. To me, beloved describes who I am to someone. Someone can love me (show me various loving actions), but not count me as his or her “beloved.” To me, it doesn’t get any better than being one’s beloved. Until Henri Nouwen told me, in no uncertain terms, that I am the beloved of the Lord’s, I never considered such a possibility. Reading Nouwen’s book changed my self-image in light of how God sees me, holds me up. I am not just His daughter. No. I am His beloved daughter. Being beloved is not a passive identity; it is a dynamic relationship with God that demands an active response. And since Jesus said that if we love Him, we will love our brothers and sisters, as He loves us, which is how the Father loves Him, being the beloved is a sacrificial responsibility, as well as a privilege. In reciprocity, in responding to God as His beloved, and in fulfilling my role, then, to God as my Beloved, Henri Nouwen explains that God invites me to love as He does: taken, blessed, broken, given. If you have not yet read Nouwen’s book, I heartily recommend it. Though I still have a lot of believing to do that I am God’s beloved—and responding as if I really believe that—Nouwen’s book truly was transformative. Sadly, Fr. Nouwen died almost twenty years ago. I miss his continued wisdom. Nonetheless, for me, his greatest gift was not only telling, but convincing!, me in his Life of the Beloved that I am God’s beloved. Besides the opening quote, here are some other excerpts from the book courtesy of Good Reads, which also shares a brief biography and bibliography of his works: Henri J.M. Nouwen. Since reading Life of the Beloved, I’ve gone on to read more than a dozen of Fr. Nouwen’s books. In Memoriam is one that has given me great peace in response to the “loss” of those beloved to me. The Return of the Prodigal Son is an excellent book to read in response to the upcoming Extraordinary Jubilee of Mercy. Speaking of reading his books, writing about Life of the Beloved has inspired me to once again re-read the book that so changed my life. If you haven’t read it yet—or even if you have—I hope you’ll favor yourself by joining me in that amazing, affirming reading experience. Beloved of God. That would be us. That would be our amazing, gratuitous gift from our Loving God. That would be our core identity. And that’s well worth (re)reading about! How or when did you discover the truth about yourself–that God calls you His beloved? 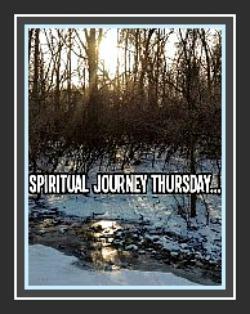 This entry was posted in Spiritual Journey Thursday, Spirituality. Bookmark the permalink. 8 Responses to Imagine! He calls us His Beloved! Love this week’s theme. Just went downstairs and retrieved this book. I bought it for $2 at our library book sale based on Nouwen’s name recognition. Now with your enthusiastic endorsement, I’m moving it to the top of my inspirational pile. Excellent! I have every confidence you won’t be disappointed. Thank you so much for reading/commenting. God bless you! What a wonderful connection – I’ll have to read this book! I like how you distinguished being loved from being beloved – that it’s a more interactive state. Thank you for your insight! Thank you for taking time to read/respond, Holly! …Looks as if you were able to access the comment field! Hooray! God bless you! I think you’ve explained well the way our concept of God’s love is often tied into how someone helps us understand it–by words (Henri Nouwen in your case) or by actions. The challenge, then, is to live that way before someone else, so that they will have the conviction God loves them because of the way we love. I have one Henri Nouwen book – ‘With Burning Hearts.’ I love it. Have read some of it several times and get new insights whenever I do. You are so very right!!! And since we’re supposed to live that way, the hardest part for me is really staying in conviction that I am His beloved. Thank you for your practical suggestion of noticing special times on the clock as a special time to remember that God reaches out to us in our belovedness to Him. Worked for me yesterday at 11:11. Reminded me, too, of Veterans Day coming up and how so many Christians, “Soldiers” for Christ by Baptism and Confirmation have sacrificed their lives in defense of God’s Heavenly Kingdom on Earth. So sad what is happening to Christian-martyrs around the world. If only we all Christians and not treated each other with the respect due to each beloved child of God’s. Thank you so much for taking time to read and to share your deep insights. …If Henri Nouwen’s books were courses, I happily could have majored in him:) … His writings really speak to me–praise God! …God bless you. Thanks for keeping time with the Lord. Bobbie, I was fascinated by your recounting of Henri Nouwen’s book so I googled him and found many quotes. This one resonated with me: “To be chosen as the Beloved of God is something radically different. Instead of excluding others, it includes others. Instead of rejecting others as less valuable, it accepts others in their own uniqueness. It is not a competitive, but a compassionate choice.” It fits into my thoughts of acceptance and choosing kind. What an amazing statement that I shall ponder today. Thank you.